Ahh the grocery store a wonderful magical place if you ask me hahahaha well kinda! Me I like to have a plan or a list so I can get in quick and get out of there even quicker! Here are a few tips I like to live by! One thing I try most of is never to do a full shop on a weekend. Its too crazy most of the time , people are nuts haha If I do have to go its usually to pick up a few things. I mainly shop on a Monday or a late evening after a gym session, no lines no fuss. Never with out a list! Lists lists lists I can’t stress this enough I always have a list of what to get and if I end up forgetting then I always end up buying something twice or not at all lol. Its simple and stupid but it works. Believe it or not if you’re looking to save a few extra bucks then use the bulk section. I love buying rice, various nuts, and dried fruits and even coconut flours, quinoa all in the bulk section. No Names, now tis you have to be careful with most of the time I find no name items to be just as good however some are just plain terrible and its not worth it trying to save a buck or two. I actually find Walmarts no name brands to be pretty decent, a lot of my baking essentials such as baking powders/sodas chocolate chips are the wally brand. So don’t always be afraid of no name. 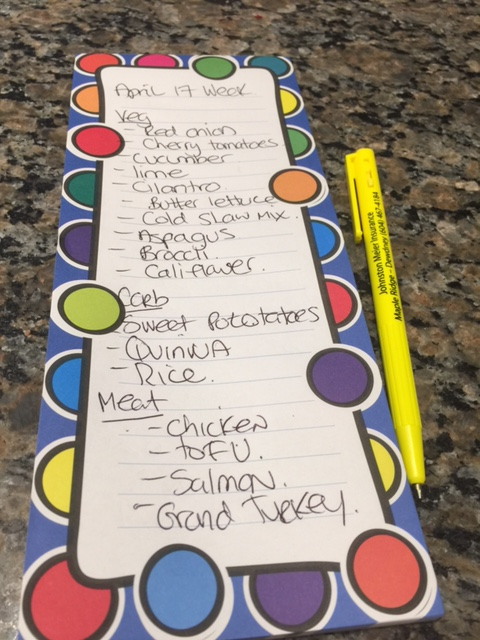 Here is a typical list for the week, keep in mind that this is for a house of two and a fur kid lol! Oh and two things I can’t live without in my kitchen!! 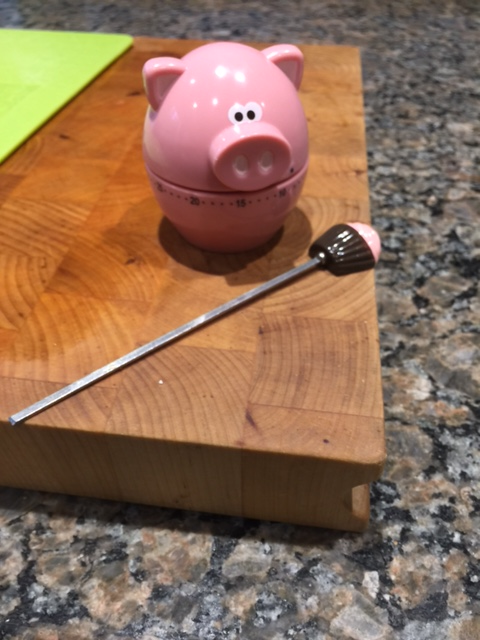 My Piggy timer and my cupcake tester lo! Both life savers get them if you haven’t already!